Huawei P30 sets to hit the market. Racing the Planet is an organiser of off trail, rough-country endurance foot-races. These races occur throughout four deserts across the world. The current locations of these deserts are in the Atacama Desert of Chile, China’s Gobi Desert, the Namibian Desert, and the Antarctica Desert. These races were recognised by Time Magazine (hyperlink) as the world’s leading endurance footrace series, described as the “Ultimate test of human endurance”. The inaugural race of this series of races was held in the Gobi Desert of western China in 2003. Over the following years, an additional race was introduced in a new location each year. In 2004, the Atacama Crossing was held in the Atacama Desert of Chile. This was then subsequently followed by the Sahara Desert race of Egypt in 2005 and the Antarctica Desert in 2006. The first Irish person to conquer all four of these marathons is Vincent Carroll of County Kildare. Vincent grew up from a young age loving all things adventure and physically challenging. At the age of 17, he joined the Irish Army where some years later, he joined the elite army forces known as the Irish Ranger Wing. He served in the Irish Army and the Irish Ranger Wing concurrently for over 20 years. The Irish Ranger Wing is a specific unit of the Irish Army, elaborately aimed at physical endurance training which is one of the toughest training courses throughout the whole world for elite forces. When Vincent had his family and began to grow older, he left the Ranger Wing in his early forties and began an outdoor business which still watered his love for all things adventure. Always a huge fan of running and hill-walking, Vincent began to look into higher paced marathons which he soon found were referred to as “ultra-marathons”. Vincent explains that he first became interested in the idea of endurance races as he “started middle distance running and wanted to try something a bit more challenging. 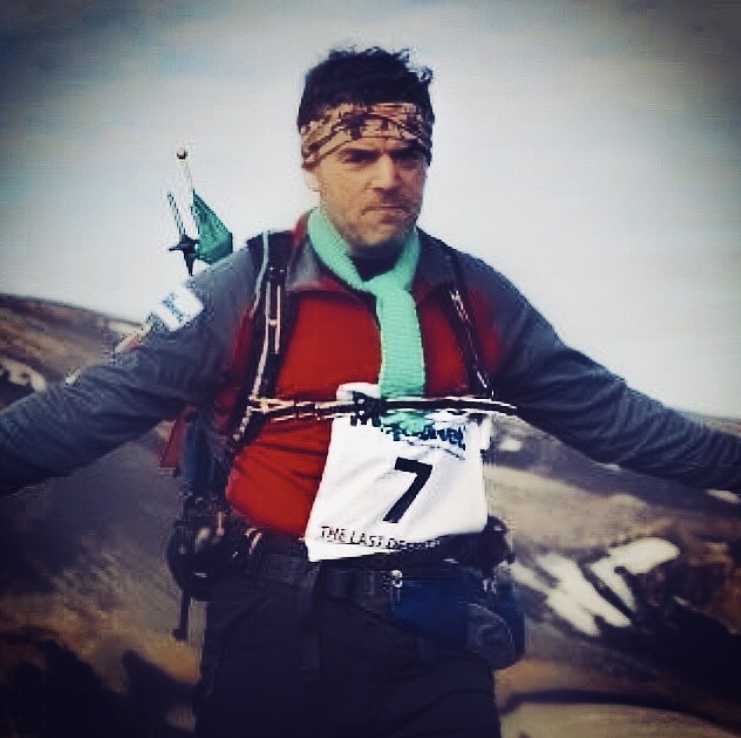 I was never a fast runner so I needed something that was longer and more challenging.” Vincent’s first marathon was the Marathon de Sables in Morocco. “It was a seven-day event, 250 kilometeres, each day was a different stage, ranging from 20km up to 80 km. You had to be totally self-sufficient in the sense that all of your food, equipment and clothing had to be carried yourself for the seven days straight. The only thing that was supplied by the race organisers was water and space in a tent to rest. Vincent explains that it was during the Marathon de Sables is where he heard about Racing the Planet. He says he “spoke to one of the organisers who was talking about starting their own worldwide event in the next couple of years which eventually became Racing the Planet in 2003. 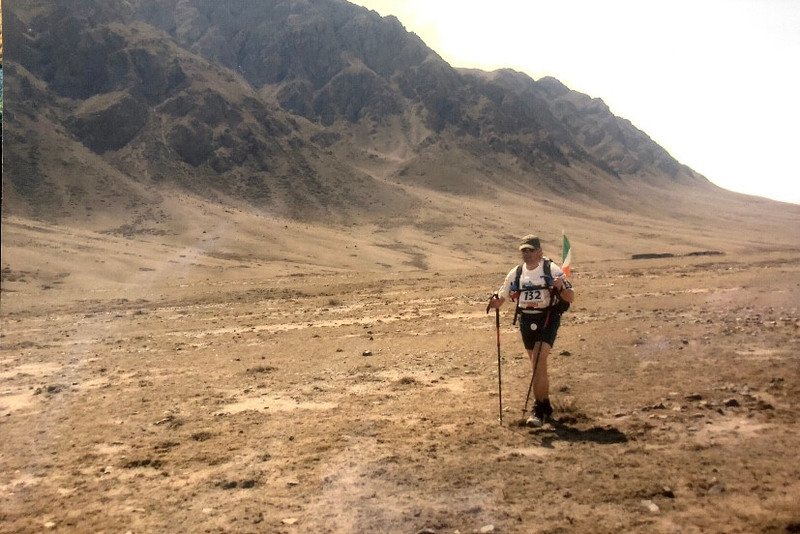 In relation to his initial experience of the ultra-marathon, Vincent explains that he had “suffered a lot with my feet with severe blistering and heat exhaustion so I decided that I needed to go back to the drawing board and plan a bit better”. He further explains that “the two areas I changed were the weight of my equipment and the food you were eating while on the race. I put a lot more preparation for the treatment of my feet. One of the biggest problems for people who do these races is how to deal with severe blistering”. After the inaugural, Gobi Desert race was completed, Vincent describes how he set off in 2004 for the Atacama Desert. Describing the overall set up of these vast races Vincent explains that “the entirety of the 4 races is 1,000 km in distance through 4 deserts. Each desert in itself is 250 km long. And each desert has a unique feature different from other races and deserts. 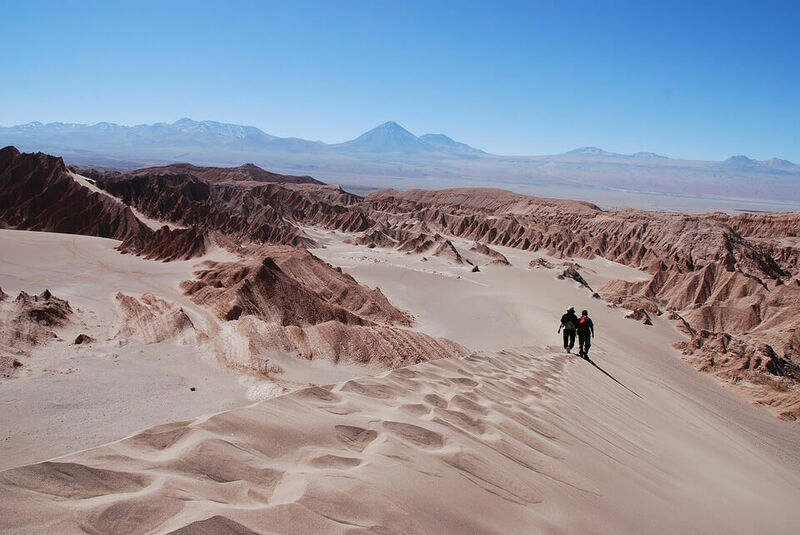 Atacama was the driest desert in the world. The Gobi was the lowest desert in the world altitude wise. The Sahara desert was the hottest in the world. And finally, the Antartica being the coldest in the world.” As many people may not know, a desert is not classified by its inherent heat levels, or the amount of sand we see in a picture. As can be viewed with the Antartica race, a desert is simply defined as a region which receives less than half an inch of precipitation, holds little to no trees, plants, or general water resources such as rivers or lakes. When asked what his best experience was through all of these races, Vincent says “the Atacama was my best experience, as it was the race I felt best prepared for. Preparation is paramount with these races.” He remembers Antartica being his easiest race to complete and was also the race where he placed highest at number 7. However, he says that the conditions in Antartica are the “most unpredictable as the temperatures change from relatively mild, to sub-zero within seconds and you have to be packed and prepared for racing in this condition to avoid failure”.